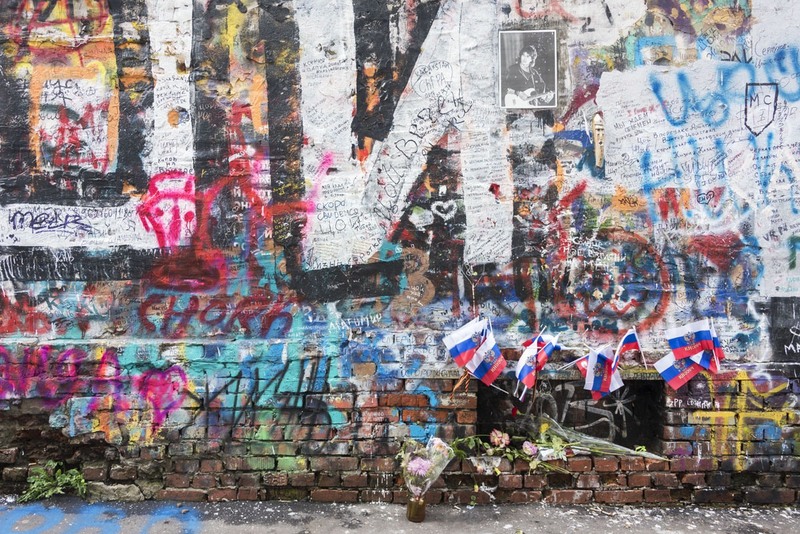 Last August, a dream came true for both myself and Nick – we visited Russia for the first time. 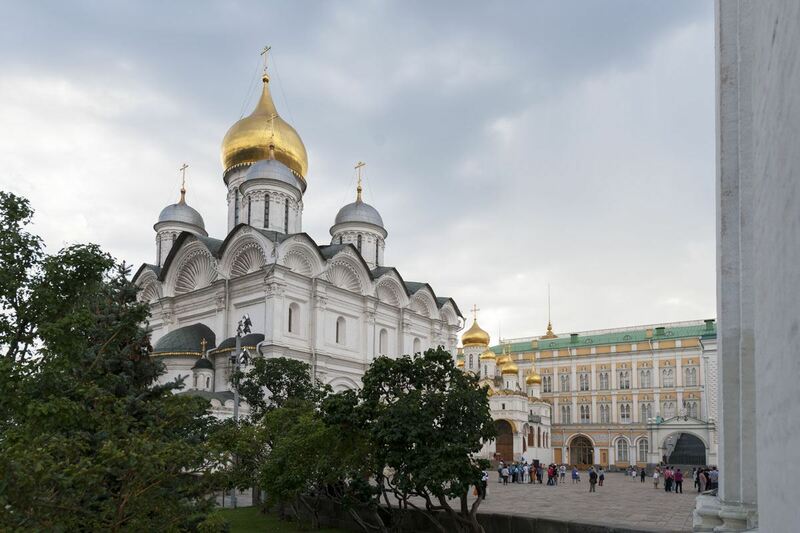 We joined the 13-day Waterways of the Tsars cruise with Viking River Cruises, travelling from Moscow to St Petersburg (with some cool stops in between). 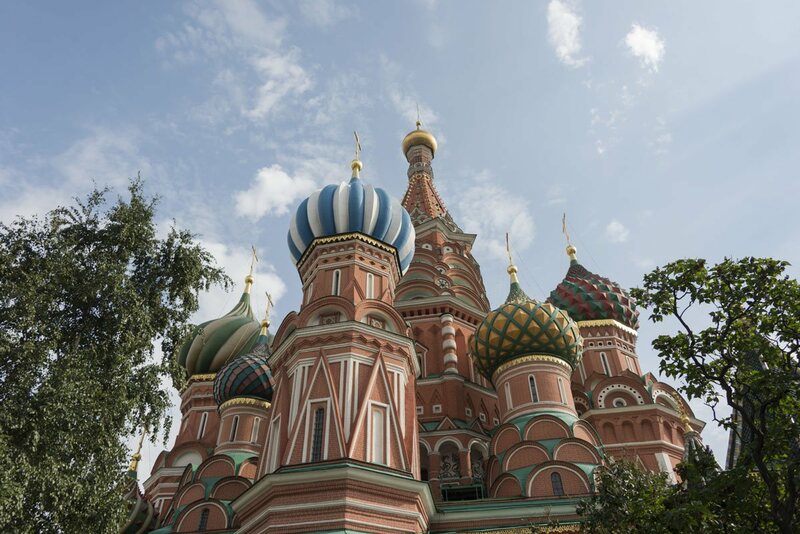 Here’s our first post, with lots of interesting things to do in Moscow for first timers! 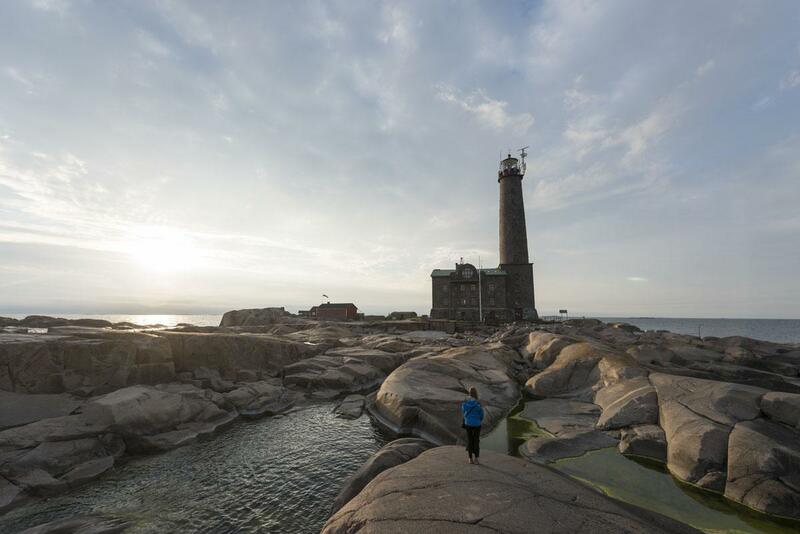 Do you know what this place is? I’ve always liked to think that Moscow was my first trip ever. 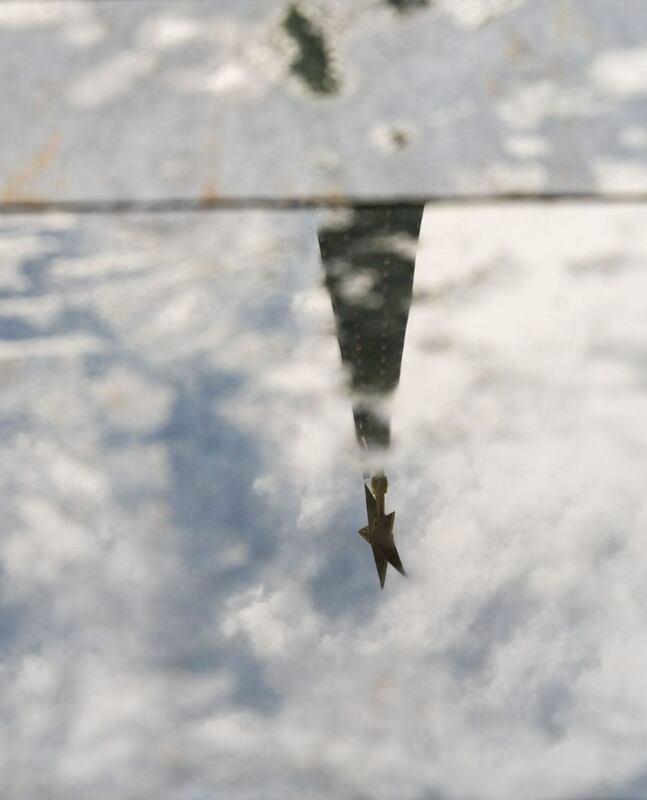 My father visited the (then) Soviet capital in 1986, and returned with a mini-bearskin hat and stories about that mysterious country – ‘a riddle, wrapped in a mystery, inside an enigma’, as Churchill famously defined it. My dad told me stories, and I dreamt. 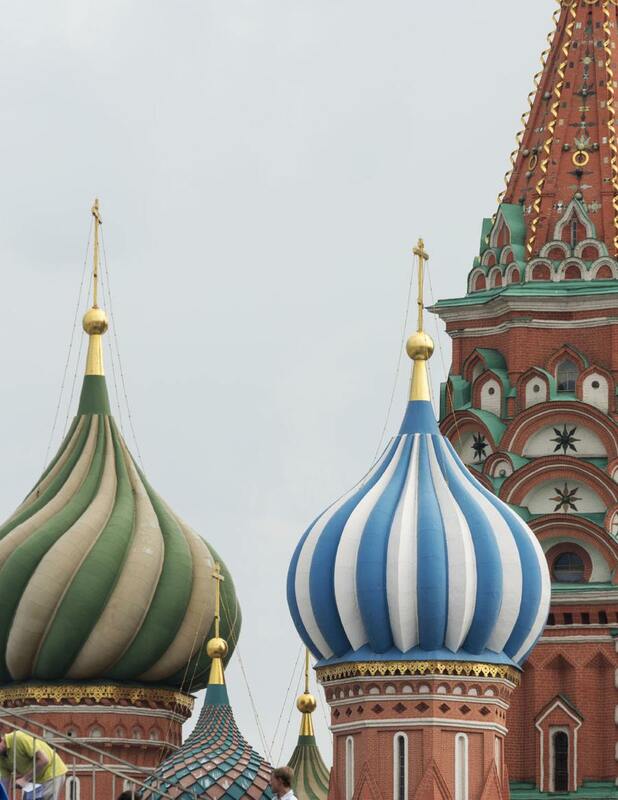 I dreamt the multicoloured domes of St Basil’s, the crenellated walls of the Kremlin, the metro stations – my dad described them as ‘real underground palaces, with marble and chandeliers’ – I even dreamt of visiting GUM, the legendary department store on Red Square, with luxurious stuccos and dusty, empty shelves. Moscow fascinated me so much that I imagined I could see it from my bedroom window. Looking east, beyond the station of Milano Lambrate, I could see a dozen red, blocky apartment buildings, and imagined it was Moscow. Deep within myself I knew they weren’t Socialist high-rises, it was Milano Due, the utopic ‘city of the future’ built by Berlusconi at the dawn of the 1980s. That is probably why when we first visited Moscow last August, the city looked familiar. Many people describe their first visit to New York as a kind of deja-vu, after having seen the city in so many movies. Moscow gave me exactly the same feeling. Because, in a way, I had already been there. Not just through my dad’s tales and my own childhood daydreaming – but also through books. I walked alongside Dr Zhivago in the streets of post-revolutionary Moscow. I sat next to Anna Karenina as she travelled to the city. Most of all, I walked down the Arbat and flew over the roofs of the city with my namesake heroine, Margarita. Yet, Moscow eluded us for years, until we finally landed at Sheremetyevo airport one hazy morning, after two aborted landings because of thick fog. 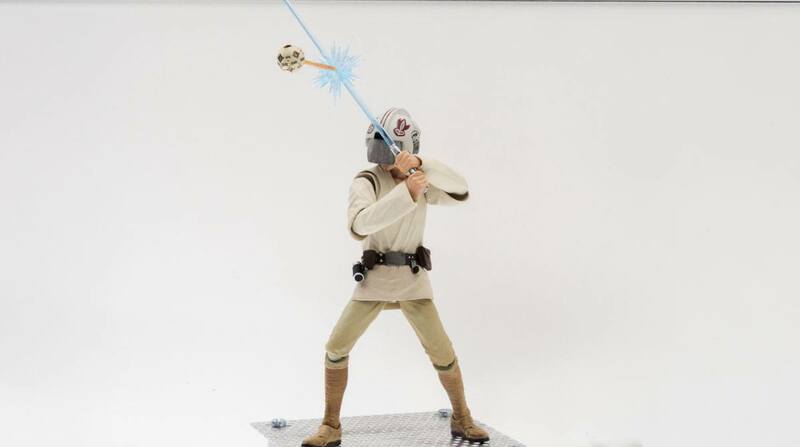 From the very first minute, it felt familiar – yet surprised us in ways I couldn’t imagine. No book or photograph prepared us for the magnificence of the Kremlin cathedrals, for the dazzling beauty of the city at night, for the extravagance of the Metro stations. 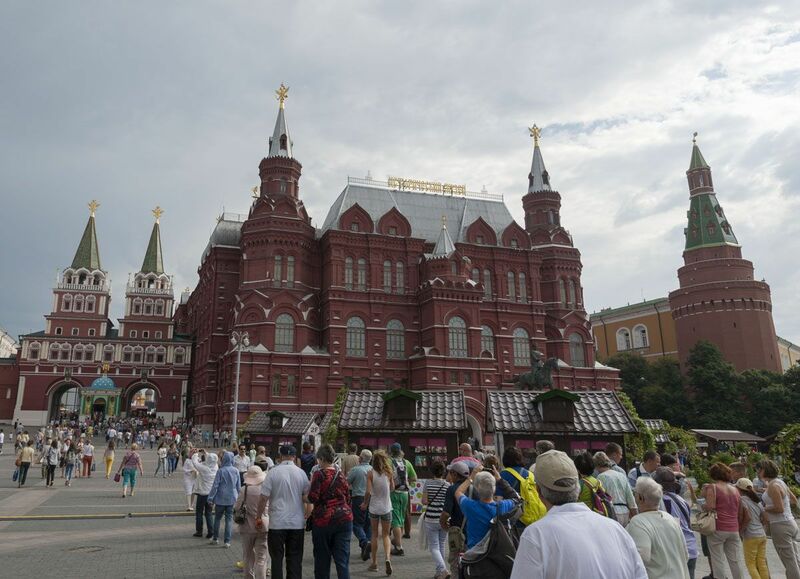 Red Square is Moscow’s main landmark, and the place where – I guess – 99% of people begin their exploration of the city. Imagine my joy when we were about to cross the gates into the huge square that I had so often pictured in my mind. 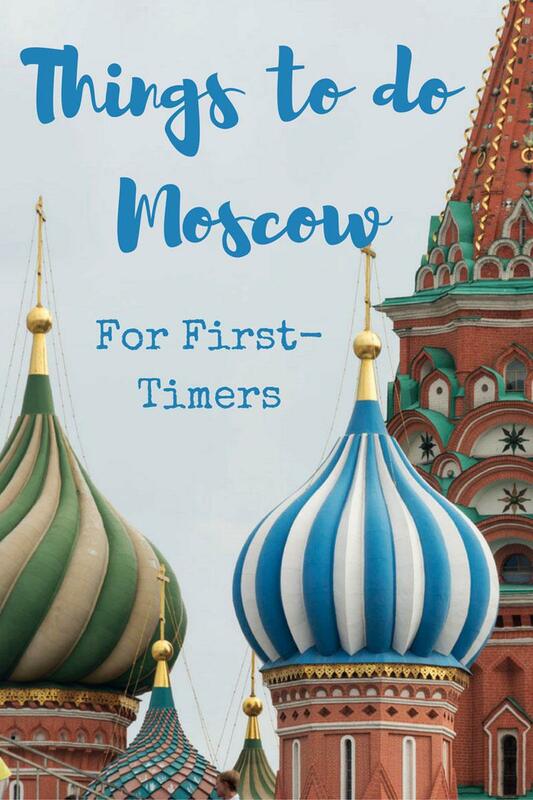 I could glimpse the multicoloured domes of St Basil’s on the far side, but it wasn’t the sprawling expanse I knew – something was blocking my sight. 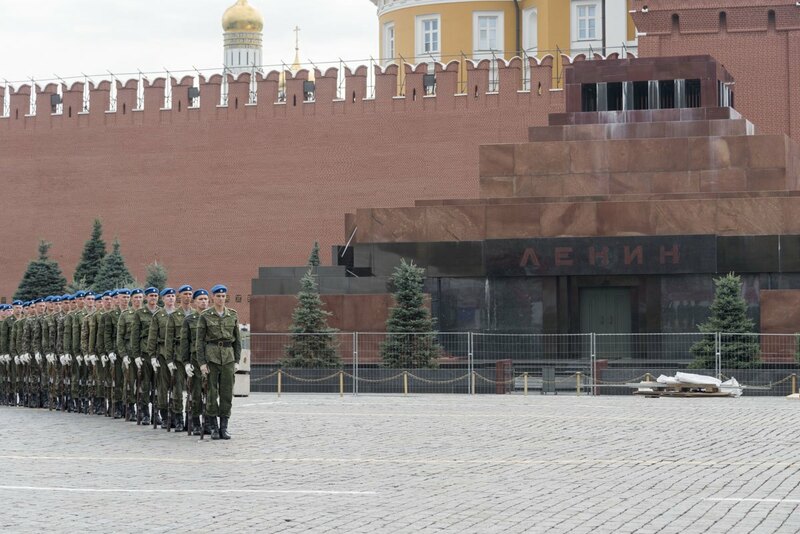 Two huge grandstands for a forthcoming festival of military bands had been erected right in the middle of Red Square, taking up most of available space. The rest of the square was packed with tourists, it was a very hot day, and I’m sure you can imagine my disappointment. So, just a little piece of advice for you. 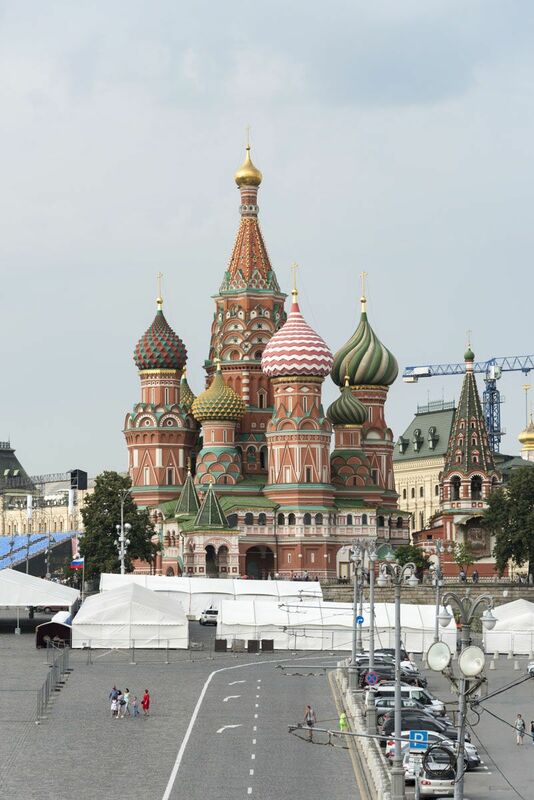 If you want to see Red Square in all its sprawling magnificence, make sure there’s no event going on in the square – apparently, events happen very often. We got a couple of messages on social media from people that also found Red Square all blocked up because of concerts or other festivals. 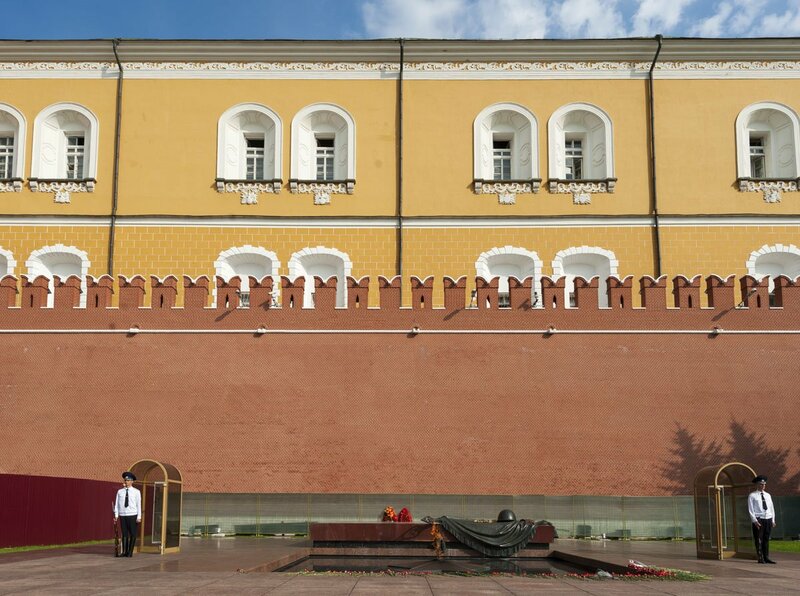 Facing St Basil’s (or the grandstands, in our case), the right hand side of the square borders the Kremlin walls, and near there you’ll find Lenin’s Mausoleum. 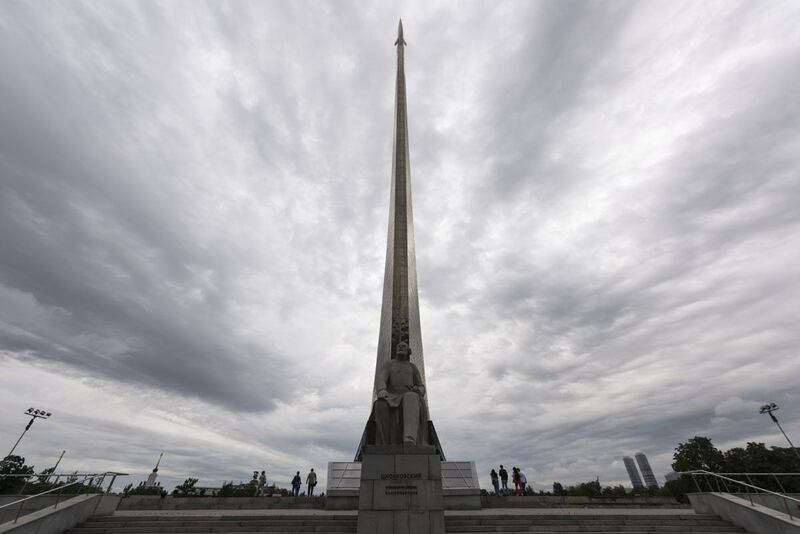 After having seen the embalmed corpse of Mao in Beijing and Uncle Ho in Hanoi, we were looking forward to visiting Vladimir Ilich – but sadly, we missed the opening times. On the left hand side of the square there’s GUM, the same department store that my dad had visited 30 years previously, finding it dusty and empty. During our visit, the afternoon light shone through the glass domed ceilings, over white marble floors and whitewashed walls. Diners clinked glasses in cafés and the store windows were packed with luxury clothes and accessories. 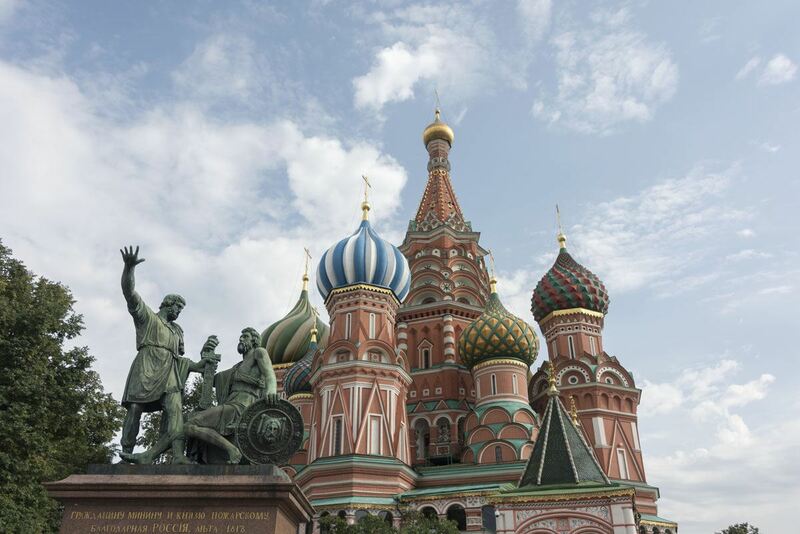 And of course, on the far side of the square, St Basil’s was as dazzling as ever, the five domes five different jewels over the sapphire sky. 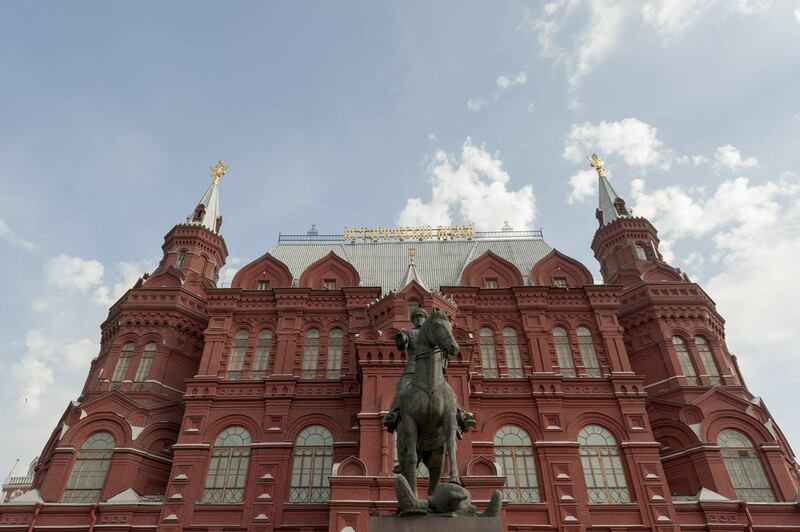 A little curiosity for you – the ‘Red’ in Red Square has nothing to do with Communism. The word Krasnaya used to mean ‘beautiful’ in Old Russian, and got the meaning ‘red’ only in more recent times. So, Red Square is also Beautiful Square. 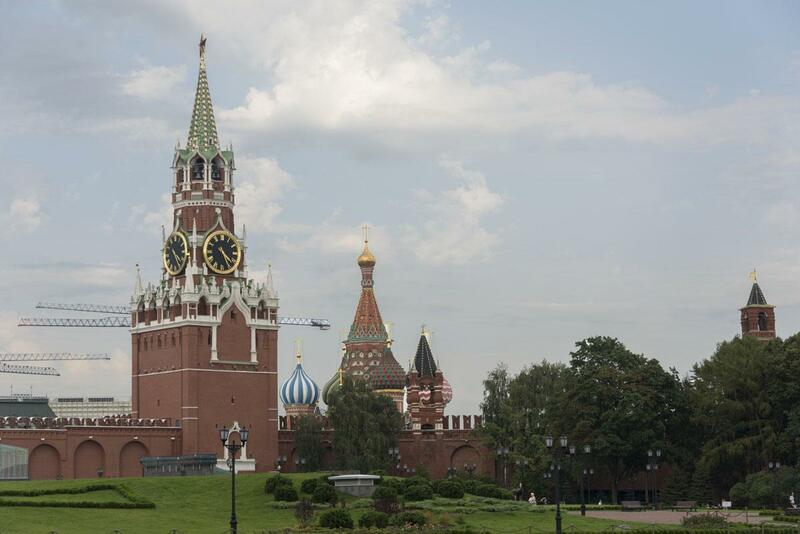 Red Square was a bit of a disappointment, but the Kremlin exceeded all our expectations. The word Kremlin means ‘citadel’ – myself and many others were convinced that the Kremlin would be a simple city palace, but it’s in fact a walled city within a city, with palaces, churches, gardens and two helipads so Mr Putin can get to work without needing to brave the horrid Moscow traffic. The Kremlin feels like a place that belongs to a parallel world. Everything looks tidy and perfect. Guards in huge hats and manicured uniforms patrol the streets, whistling if you dare cross away from the zebra crossing – yet, strangely, it’s absolutely fine to climb over the Tsar Bell, the largest bell ever cast at a weight of 480 tons. The Tsar Bell never tolled, and the Tsar Cannon standing right next to it, the largest cannon ever made, never fired a single shot. Go figure. 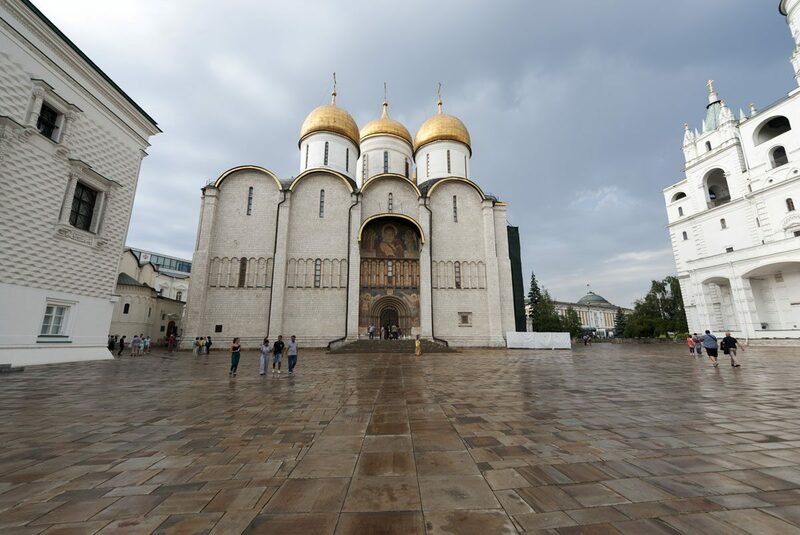 The most beautiful location in the Kremlin is stunning Cathedral Square, surrounded by several churches with glistening golden domes. 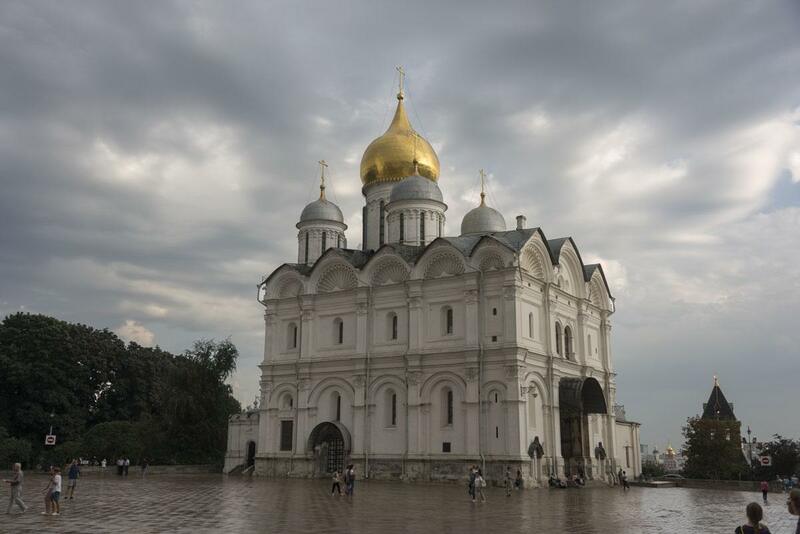 We only had time to visit two – Cathedral of the Assumption, where the Tsars were crowned, and Cathedral of the Archangel, final place of rest of several tsars and their families. 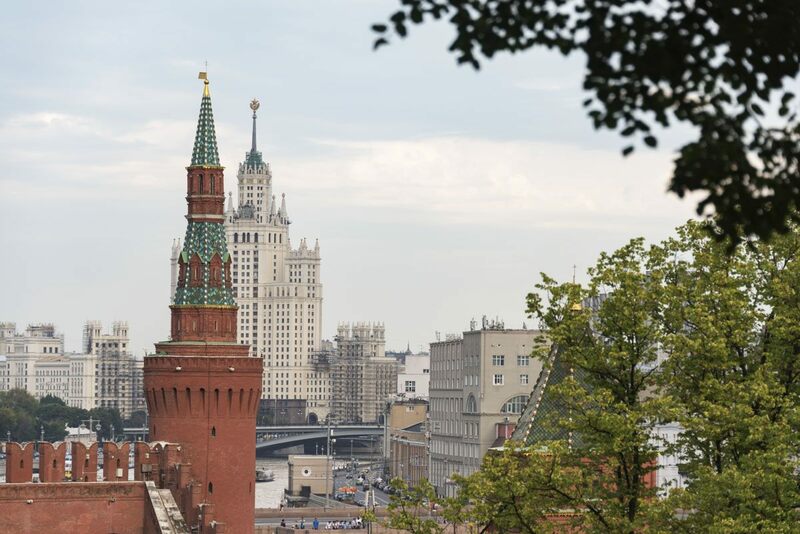 The Kremlin has been the home of Russia’s rulers for centuries. During Communist times, the power was in the hands of the people (or at least, that’s what they were told). 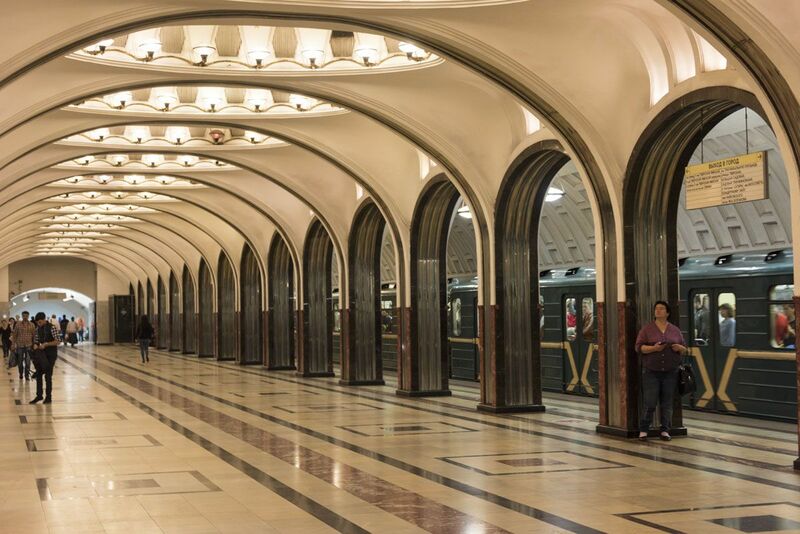 In the late 1920s, Stalin ordered the construction of a monumental underground system – a ‘Palace for the People’, that would fulfil the need for propaganda and intra-city transportation at the same time, as Moscow grew non stop. 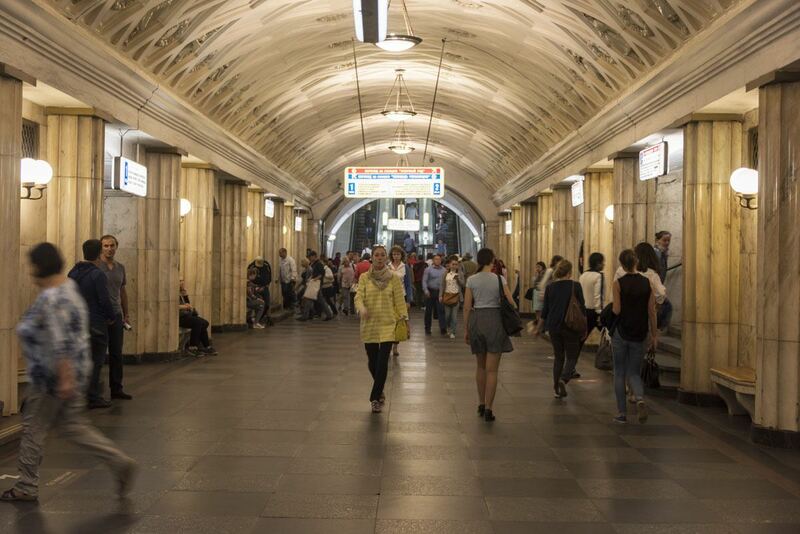 Nowadays, the Moscow metro is developed over 12 lines – one circular and 11 radial. An apocryphal tale states that when Stalin was shown the Metro plan, no circular line was contemplated. Stalin placed his teacup on the paper, leaving a round brown mark – naturally, the leader was praised for his brilliance, and that’s how the circular line was born. All lines are colour coded, and the circular line is brown. Trains arrive once every 20 seconds in peak hour! 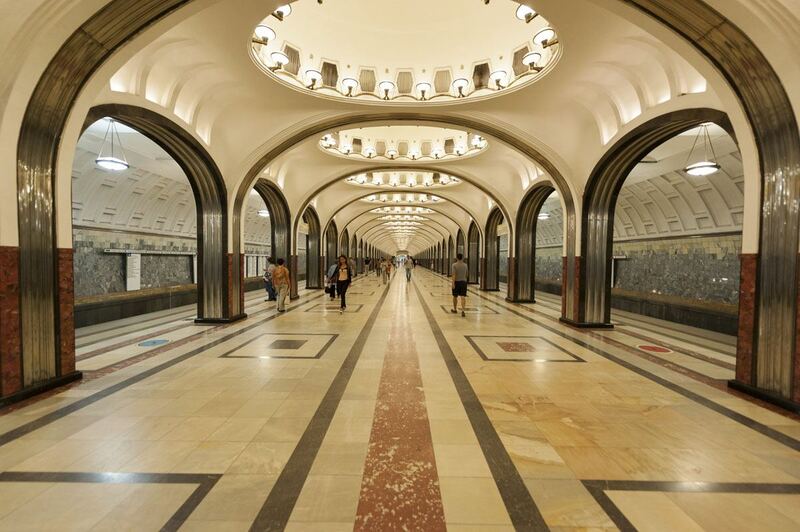 The Moscow Metro is not only stunning to look at – it also works amazingly well, and it’s super cheap. It runs from 5 to 2 am, every 20 seconds in peak hour, and a single ride only costs 50 roubles and has no time limit. That means you can spend the whole day touring this stunning system of underground palaces, spending less than a euro. Each station is decorated differently – no station signs are visible from inside the trains, so Muscovites can tell where to get off by looking at the station’s decoration. 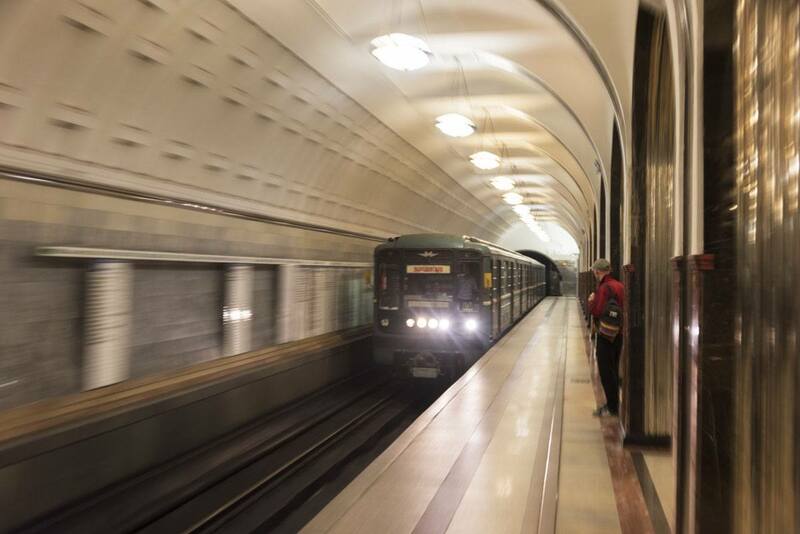 Some of the most stunning include Mayakovskaya on the Green Line, Ploshchad Revolyutsii on the Blue Line and Komsomolskaya, Novoslobodskaya and Kiyevskaya along the Circular (Koltsevaya) line. 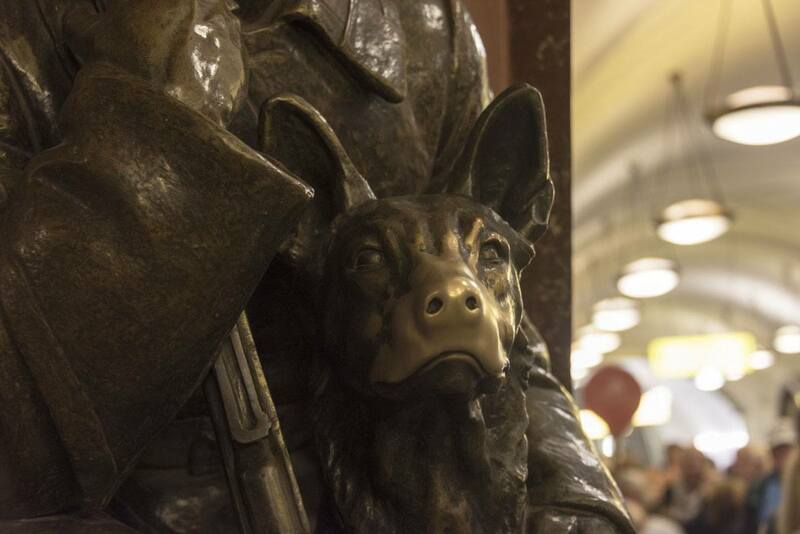 The famous dog statue in Ploshchad Revolyutsii – students believe that if you rub the dog’s nose you’ll pass your exams! 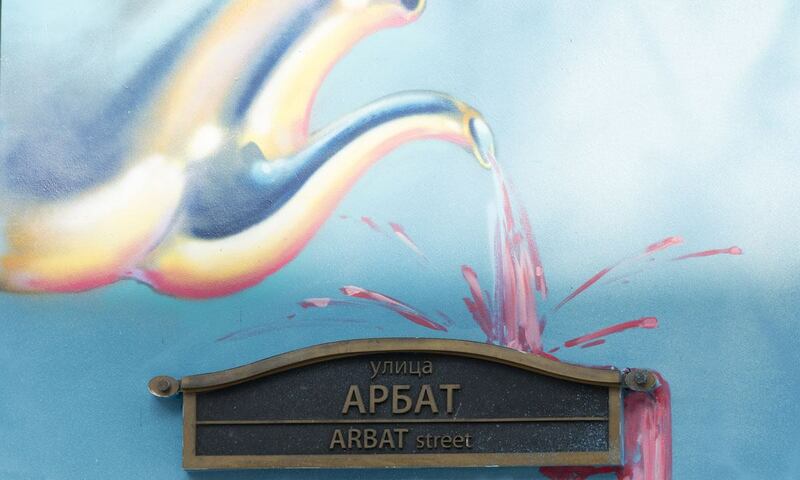 I had read about the Arbat so many times in books, that I couldn’t wait to visit it for myself. It is one of the oldest surviving streets of Moscow, connecting the city centre with the boulevard ring. 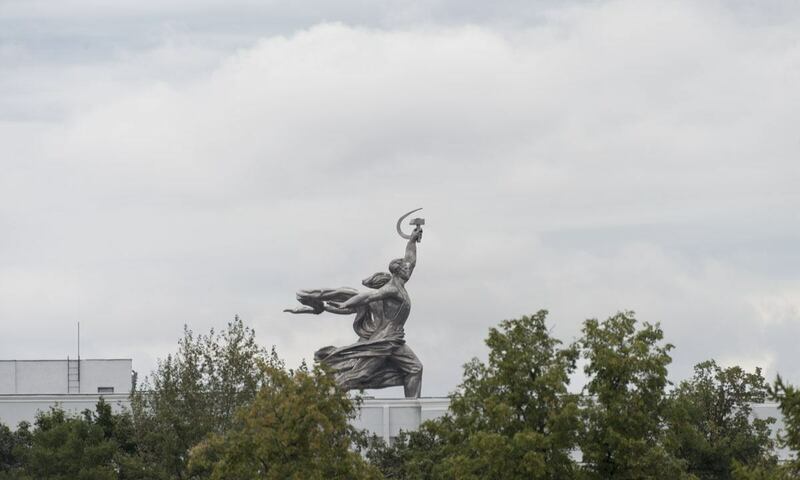 It was once one of the main thoroughfares into town from the West, before becoming home to the nobility first, then to artists and Soviet officials. These days, the Arbat is not Moscow’s ‘Boulevard St Germain’ anymore – most of the mansions lining it were destroyed to stop Napoleon’s advance in 1812. 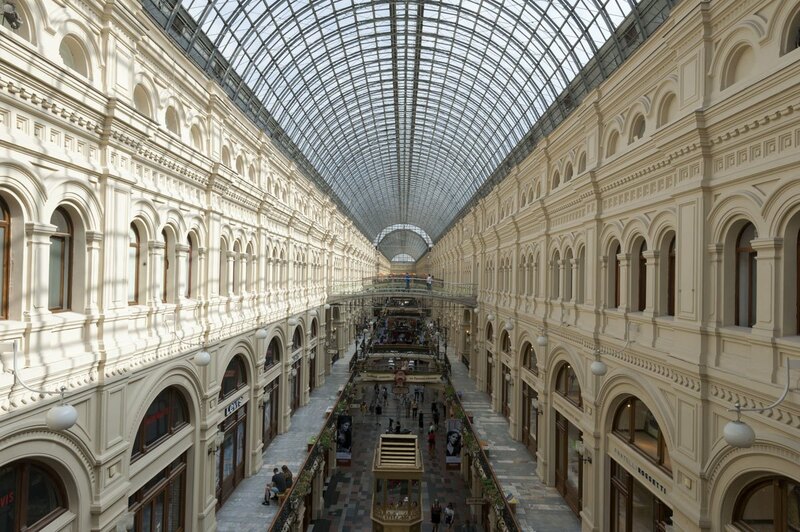 There are actually two Arbats in Moscow now – the Old Arbat is pedestrian, so it’s still a wonderful place for a walk and some people-watching. There are several souvenir shops but being the heart of the tourist city centre, I’d give shopping around here a miss. Towards the end of the street there’s an Alice in Wonderland themed cafe (a slice of Tokyo in the center of Moscow?) which could be an interesting spot for a coffee. Or you could check out New Arbat, just parallel, the home of administration and bureaucracy during Soviet times. 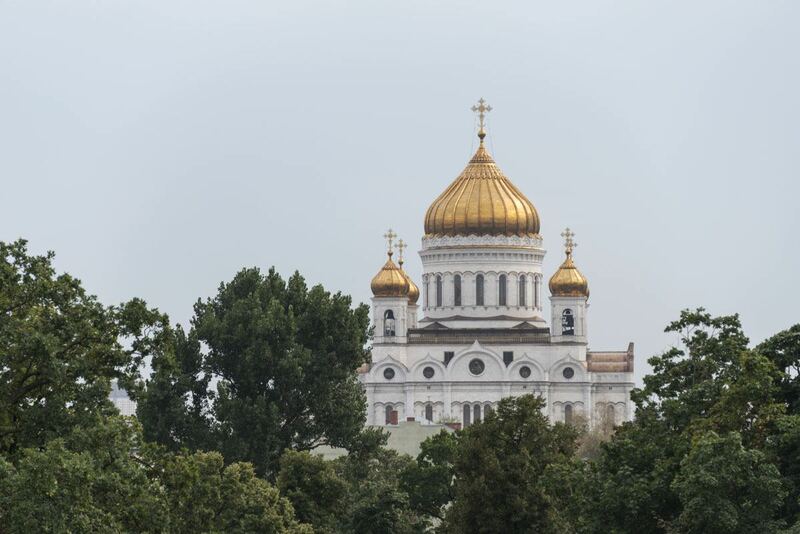 Even if you’re not one for churches, you’ll agree with me that the Cathedral of Christ the Saviour is a spellbinding sight, with its golden domes and white marble frame set against the sky, and the Moskva river flowing right on its side. To make matters even better, the Cathedral has a really interesting history. 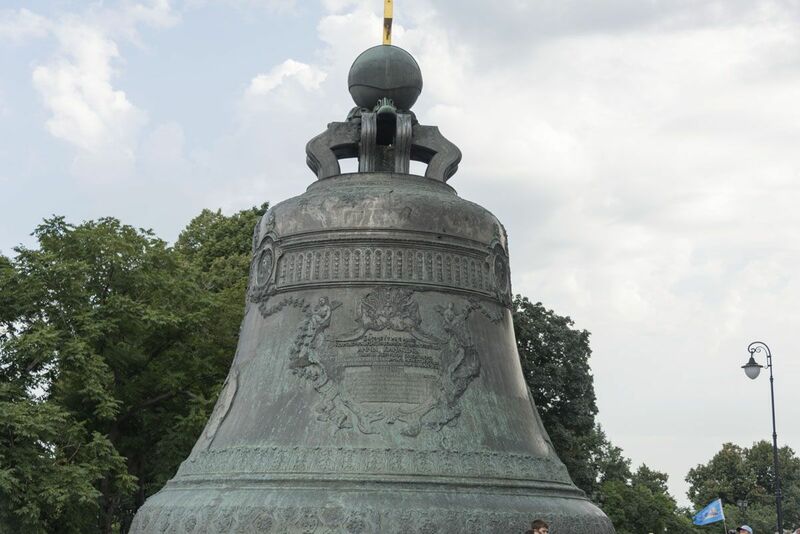 It was erected in the 19th century, after the victory against the Napoleonic Army. A convent was evacuated to make room for the church, and one of the sisters – enraged after having been evicted – claimed that no building erected on that site will ever stand for more than 50 years. The Cathedral was eventually consecrated in 1883 – and in 1931, 48 years later, it was demolished by Stalin to make room for the ‘Palace of the Soviets’, a monumental building that was going to be topped by a huge statue of Lenin. 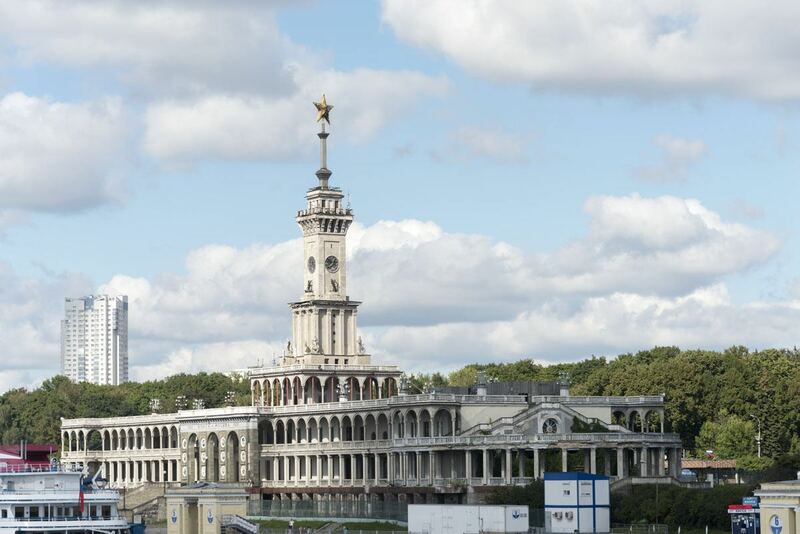 WW2 halted construction, and after Stalin’s death the construction site stood unfinished for decades – the gaping hole for the foundations was turned into the world’s largest open-air swimming pool. The ‘current’ Cathedral of Christ the Saviour was built between 1995 and 2000. 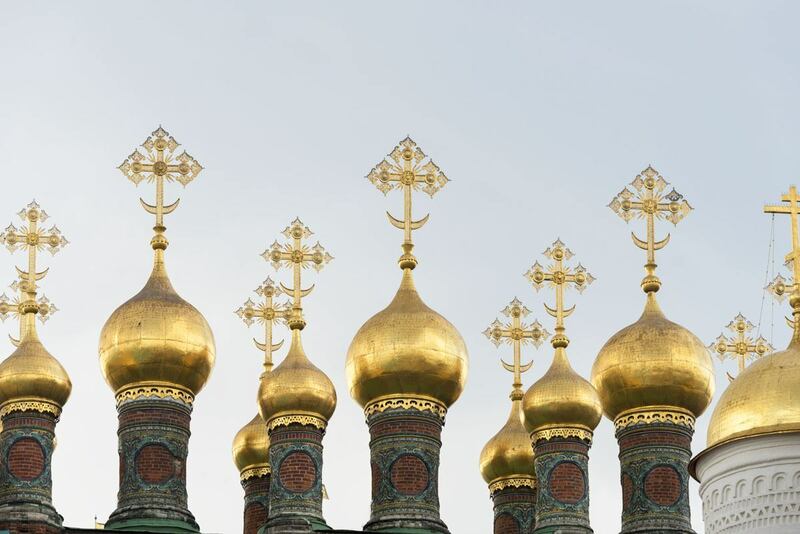 50 kilos of gold were used for the domes. Will it last for more than 50 years? Only time will tell. 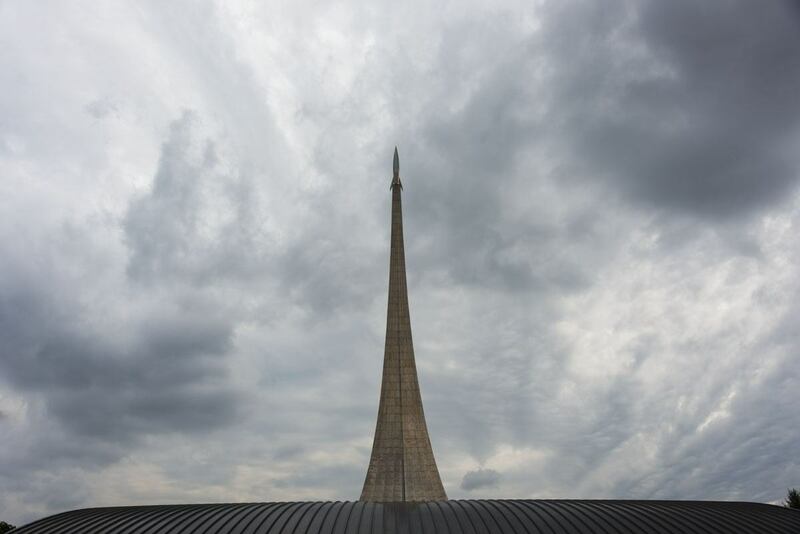 If like me you’re a fan of Communist architecture and iconography, you’ll be spoilt in Moscow. 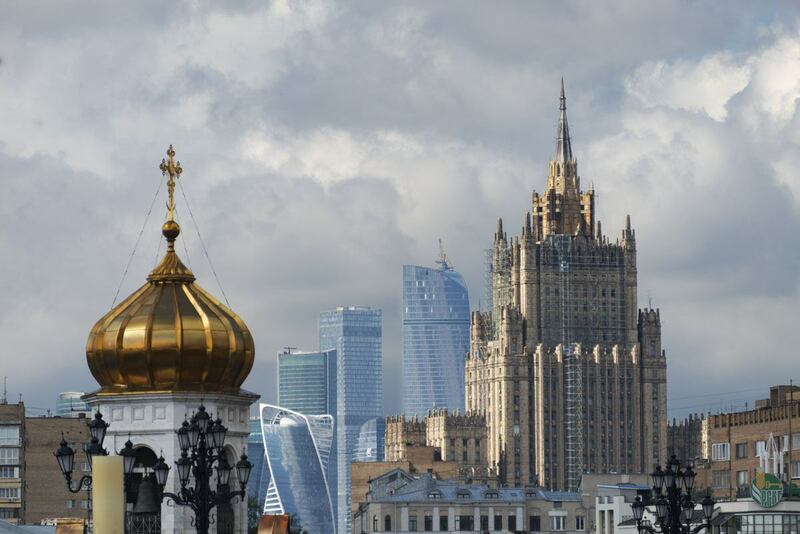 In the past, we visited Communist sights in Warsaw, Vilnius and Bratislava – but really, they’re nothing compared to Moscow. From kommunalka apartment blocks to Stalin’s Seven Sisters (huge 1930s skyscrapers housing hotels, apartments, offices and universities), from the Metro to statues and plaques everywhere, Moscow has plenty of relics from the Communist period – after all, it was the capital of the Communist world. I could spend weeks touring all sights of Communist Moscow – to be honest, we are already planning a trip back for this very reason. 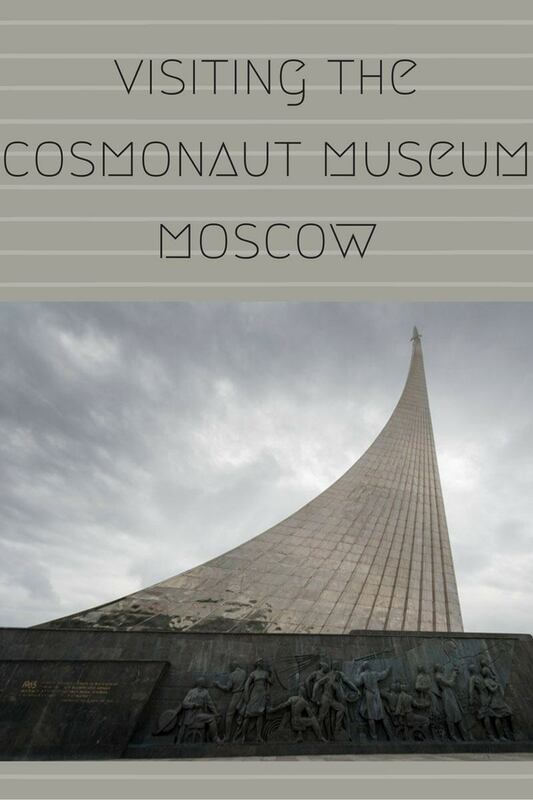 If you only had time to visit one Communist sight, make sure it’s the Memorial Museum of Cosmonautics. 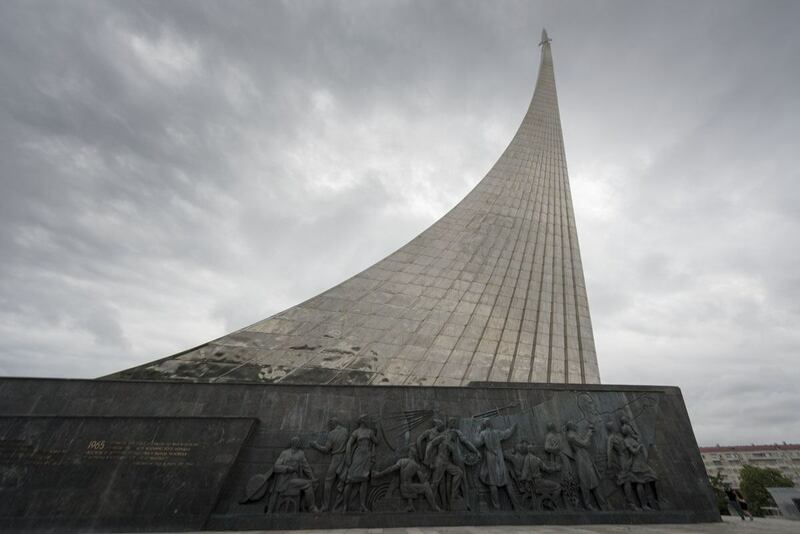 The entrance to the museum is in the base of the Monument to the Conquerors of Space, which is by far THE MOST AMAZING monument we’ve ever seen. I mean, check it out. 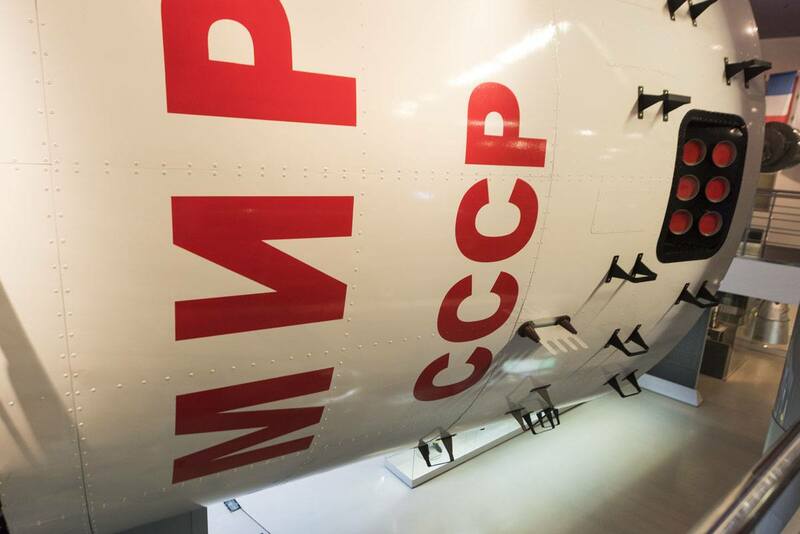 The museum itself makes for a very interesting visit for everyone interested in the space race. 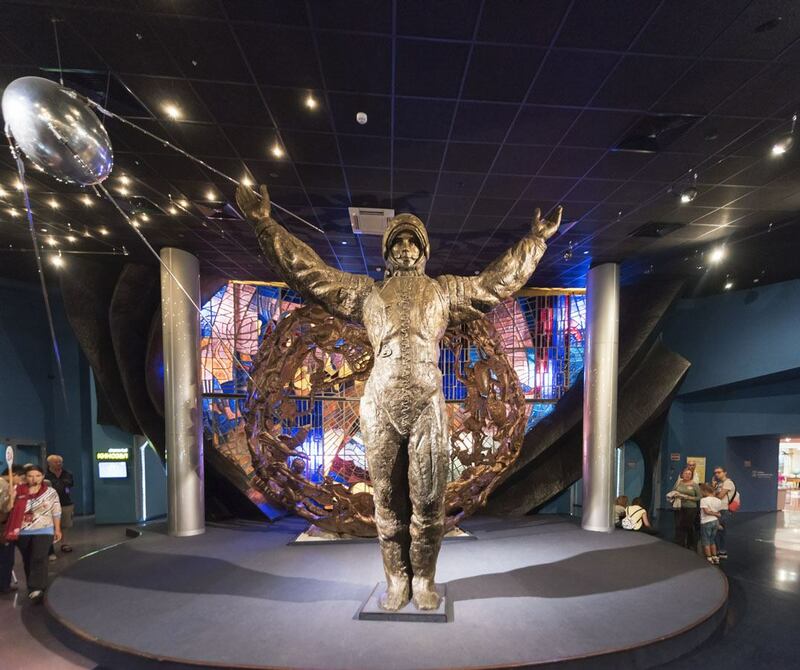 It houses the first satellite ever to be launched, the embalmed bodies of two space dogs, a full-scale reproduction of space station Mir, space suits and lots more interesting exhibits. We visited on a guided tour with Viking Cruises, which was a great idea as it was really hard to understand the function of some objects otherwise. 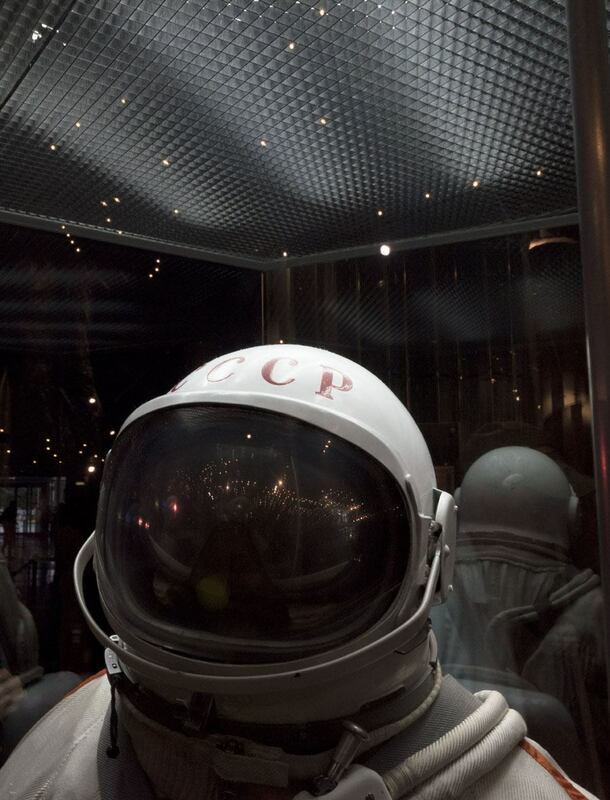 The Memorial Museum of Cosmonautics celebrates a time when people dared to look at the stars and dream that one day, we might actually uncover this great mystery. Sure, political implications (on either side of the wall) were behind it all, not some romantic dream – but 55 years from Gagarin’s first flight, space news are often relegated to the bottom of newspaper pages. Perhaps we have way too many problems on this planet to worry about exploring others. Exploring the Museum, I wished that one day we’ll be able to set out and uncover the biggest mystery of all once again. We visited several of the sights mentioned in this list on tours run by Viking River Cruises as part of our Waterways of the Tsars cruise. The Kremlin tour, Moscow city tour (by public transport or bus – naturally we opted for the latter) and a traditional music concert were included in the tour price, but we also took additional tours to the Museum of Cosmonautics and around Moscow by night, both of which we enjoyed a lot. Our home on the Russian rivers, the Viking Truvor! Our accommodation was on the Viking Truvor, moored in Moscow’s North River terminal near Rechnoy Vozkal station on the green line, making it possible to reach the centre in half an hour to explore the city independently. All meals are served on the boat, and transport to/from the boat is always provided during tours. Trust me, on a Viking cruise you won’t go hungry! A great benefit of exploring Moscow with Viking were the excellent local guides, who shared their knowledge with us and gave us ideas on how to make the most of our free time in such a big, sprawling city. We spent three days in Moscow, but we are sure we will be back! 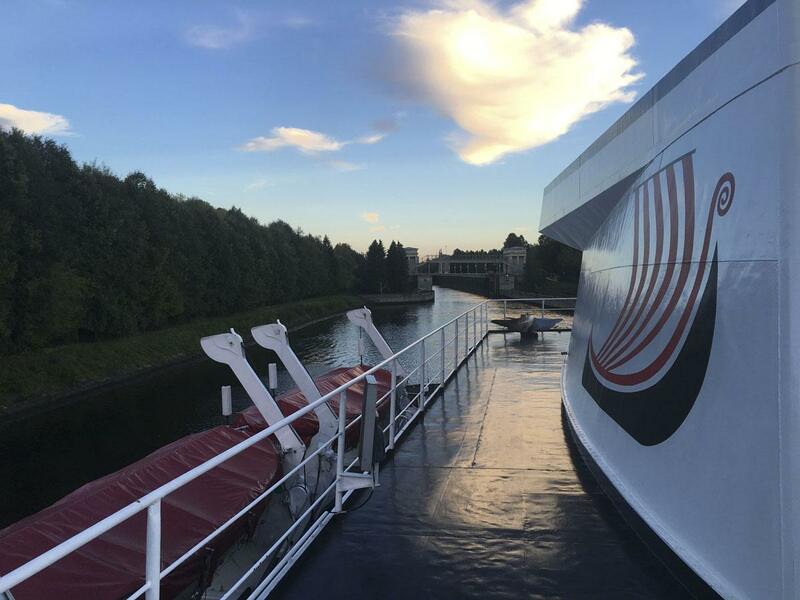 We would like to thank Viking Cruises for having welcomed us aboard the Waterways of the Tsars cruise.